Ava was very mistreated and found wandering the streets at a gas station, she had been chewed up so badly her jaws were swollen and her legs were all cut up. She is not good with other dogs but he loves all people and kids!! Ava will not be able to be around other dogs but will be a great and loyal pet for someone who only wants one dog. Ava is willing to learn and very anxious to please people. She absolutely loves her belly rubbed!! If you would like additional information on Ava, please email us at rufftimesrescueadoptions@gmail.com The POC for Ava is Paige. If you are interested in meeting Ava, please go to www.rufftimesrescue.org to fill out a pet of interest form. 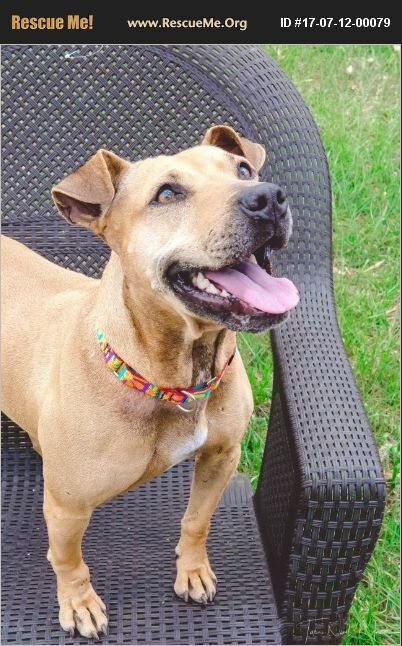 We will get in touch with you to set a good time for you to meet this sweet loving girl!